The 8th annual Mason Sun Dried Music Festival and its three days of free music is just weeks away. August 25th through the 27th, 2017 on the Courthouse Square, Downtown Mason, MI. 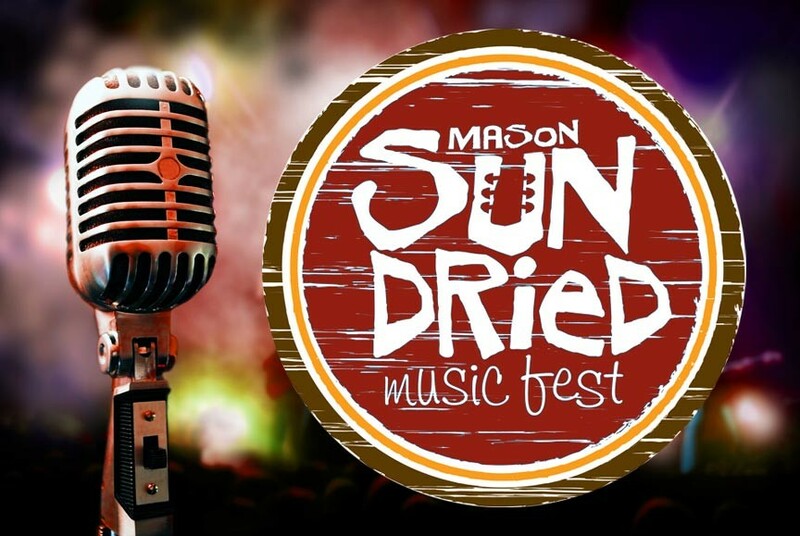 The Mason Sun Dried Music Festival is a one of a kind, free music event featuring a variety of bands on two stages. The festival also offers great food, a beer and wine tent, children’s activities, and a host unique items for festival goers of all ages! The annual Sun Dried Music Festival has been going strong since its inception in 2009. Each year sees the festival grow some – both in its offerings and the number of people who attend. 10,000 plus folks are expected to attend this year’s festival and who can blame them? The festival brings some of the very best regional bands together in one location for three days of free music and fun. What’s not to like? Take a look at the music lineup for 2017 to see what I mean.